Aiden is 30lbs and 3 years old. He is still rear-facing in his Britax Decathlon. He recently moved into the Decathlon from a Roundabout, due to outgrowing that seat in height. 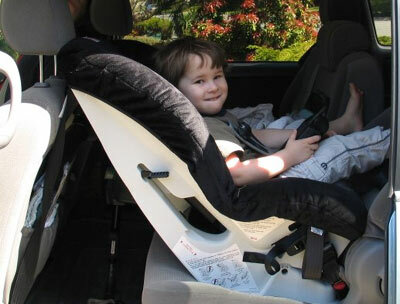 Aiden is in British Columbia, Canada, where children are very rarely rear-faced at 1 year.